The Bluffs at Vintage Oaks is the newest neighborhood within Vintage Oaks to offer gorgeous 1+ acre homesites to build your custom Hill Country home.  This highly coveted area of Vintage Oaks offers the most breathtaking views from every homesite along with stunning oaks and greenbelt homesites. The Bluffs enjoys easy access to the new entrance off FM 2722 as well as the entrance off Hwy. 46 while still offering privacy and plenty of natural ambiance. Priced from the $90s.